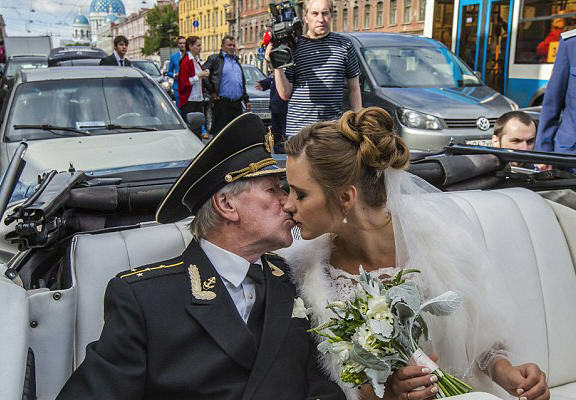 One 84 year old Russian man has wed a bride a massive 60 years younger than him, and obviously made a few headlines in the process. Ivan Krasko married 24 year old Natalia Shevel, who was a former student of his, and wooed him by writing him poetry apparently. Because that doesn’t add a whole new level of creepy at all. The father of six met his now bride when teaching fine art at the St Petersburg Institute of Liberal Education, and despite being harshly criticised for his marriage, claims he and his new wife are a ‘match made in heaven’. 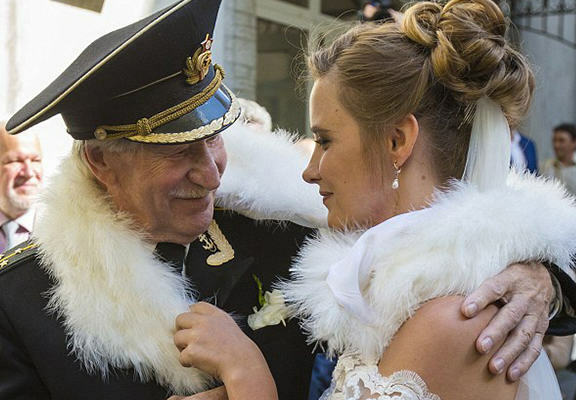 He has also divulged during an interview with Russian media that the 24 year old is keen to start a family with him – despite him turning 85 in a couple of weeks, and now that their intimate wedding ceremony is over, that is next on the agenda. Naturally she has some worries about the future, but for me this is an exciting new time in my life. He is yet to meet his wife’s family, and while most people would have probably considered that pretty important, the newlyweds are taking it all in their stride, hardly surprising considering Krasko is a pro at this, having wed younger brides three times before. For those wondering about potential gold-digging motives, Krasko’s son already had that covered, and asked who would now get the country estate, only to be reassured by his father that nothing in his will had changed. It really is bit creepy, and one journalist even called it a publicity stunt, but if the couple really are in love, then good luck to them.